Healthy dental oral hygiene is of utmost importance, from the good looks point of view, as well as the more important, health perspective. The oral cavity is the gateway to the interiors of our body and we have to do all we can to root out all possible causes of illness right at the entry point. 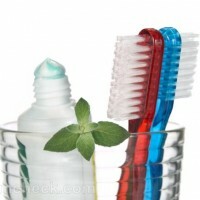 Maintaining a healthy oral hygiene routine is not a very difficult task. Oral hygiene should not be equated with keeping the teeth clean as it is much more than just brushing. The focus here is more comprehensive and should be on the entire oral cavity – gums, tongue, floor and roof of the oral cavity included. Healthy gums and sparkling teeth are great confidence boosters and contribute immensely in promoting self esteem. A good dental oral hygiene regimen helps ward off certain oral diseases such as tartar, tooth decay, gingivitis and caries. Poor oral hygiene and the resultant poor oral health have known to trigger infections and complications in other body parts. One of the more common oral complaints are that of plaque and bad breath. Plaque refers to the leftover food particles and bacteria that accumulate between your teeth over a period of time. The accumulated bacteria do its share of damage by secreting certain acids that lead to the development of cavities. Sometimes it may even lead to Periodontitis, a set of serious gum diseases. Tooth sensitivity is another common problem. It is very easy to recognize, unlike the other oral problems which require an expert eye. When something too cold, hot or acidic touches the surface of the teeth the stinging pain it generates is hard to ignore. It is necessary to maintain a strict oral hygiene regimen to address the several common and uncommon oral problems. The essentials include regular Brushing; Flossing regularly to remove all the left over food particles and, not to forget, regular visits to the dentist. Regular flossing and brushing takes care of the plaque problem. Visiting the dentist atleast twice a year is advised in order to get the oral cavity thoroughly checked and cleansed. With the entry of several international and domestic brands in the oral hygiene scene today there has been constant upgradation with respect to the type, size and shape of toothbrushes, each promising superior teeth and gum protection. 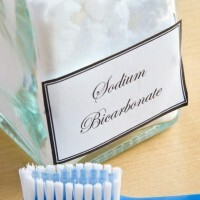 Some of the important things to be kept in mind while brushing or picking up a toothbrush are given below. 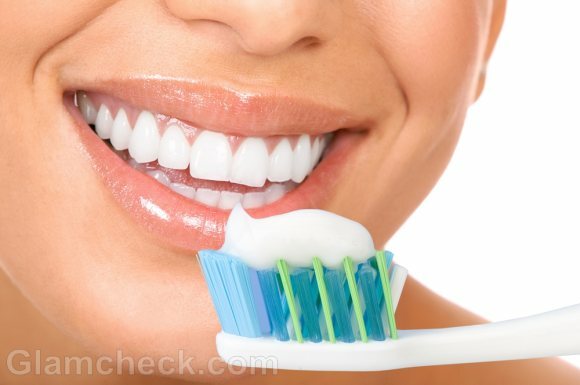 Brush twice a day and do not rush; make sure to brush atleast for a minimum of two minutes. At the same time, do not over do it, as brushing more than three times a day can cause irritation and damage to the gums over time. Brush all sides of teeth gently with the stroke that is appropriate for it. The tongue is the most ignored component of the mouth. When the tongue is ignored for long periods it accumulates a white coat over it which serves as an excellent breeding ground for bacteria, resulting in bad breath. Use a tongue cleaner or scraper regularly to ward off bad breath. Brushes with flexible heads have better navigability and reach. Brushes with narrow and smaller heads have improved reach and hence are able to clean better. Make sure to replace the toothbrush every three or four months. Brushes with indicators are available where the coloured marking on the bristles wear away with use and once it reaches the half way mark, it’s time for you to shop for a new one. Flossing might not be an integral part of the daily dental oral hygiene routine, but is highly recommended by dentists to keep the gaps between the teeth free from particle accumulation, especially after a meat rich meal. Dental floss is nothing but reels of nylon thread, fine enough to enter the minute gap between the teeth. Flossing after meals helps remove food particles lodged between the teeth thereby reducing the risk of developing plaque and tartar. If you are not used to the ritual of flossing the teeth get initiated by your dentist at the earliest or somebody who knows how to floss their teeth. Be prepared to stand in front of the mirror for a few extra minutes as flossing requires more time and patience compared to brushing. Dental floss comes in a variety of avatars – waxed, flavored, threads and tapes. Choose the one that can be handled comfortably. Brushing and flossing sure are essential, but doing these two things alone does not guarantee you unrivalled protection. There are certain other things which should be kept in mind and followed on a regular basis to achieve ideal dental oral hygiene. 1) Tongue Cleaners should be an integral part of the dental kit. Scraping the tongue of the accumulated white coat is essential to cleanse the tongue of the accumulated bacteria which give rise to bad breath. Breath mints and chewing gums mask bad breath temporarily, but it is important to find a lasting solution to the problem. When the white coat is left uncared for and gets thicker, it might result in severe bad breath problem or Halitosis. 2) Mouthwashes help freshen breath and also kill the bacteria that cause several tooth problems such as Gingivitis and Halitosis. They also add fluoride to the teeth and help remineralize them. Usually over the counter mouthwashes are mild and have a low fluoride content; the dentist may prescribe stronger one if the need be so. 3) If you are not a big fan of Dental Floss, Interdental brushes are a better option to clean the spaces between the teeth. These are small brushes with a tiny head surrounded at the tip by a tuft of fine bristles. These brushes are available in various sizes. 4) Cigarettes and tobacco can stain the teeth pretty bad. When they are stained beyond a point, they can no longer be removed by brushing. That is when a dentist should be consulted to get the teeth scaled and remove the hardened tobacco stains. Apart from staining the teeth, there is an increased risk of Oral Cancer and Periodontitis with continuous use of tobacco products. 5) Do not be harsh on the oral cavity. Fizzy drinks, if consumed on a regular basis, contribute the acid content required to peel the enamel off the surface of the tooth leaving the dentin exposed and sensitive. Make sure to rinse the mouth thoroughly with plain water or mouthwash after a sticky candy bar or that irresistible late night snack. 6) Do not postpone visiting the dentist. Strictly follow the prescriptions of the doctor to maintain healthy dental oral hygiene. By ensuring oral hygiene and dental health, various other diseases that may afflict the body are averted completely or at least partially. Keeping a tab on oral health is, therefore, of utmost importance, both from the cosmetic as well as the health point of view.